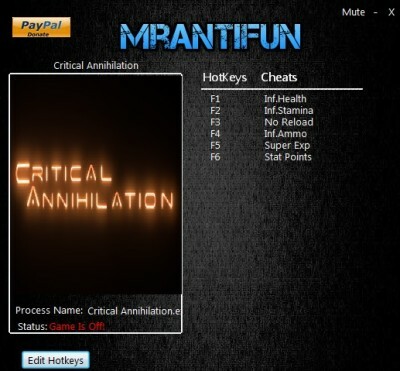 In this article you can download Critical Annihilation cheats. This trainer +6 has been created by MrAntiFun for game version 0.8.1055. All cheats on our site you can download without registration, so this hack available for download free. With this trainer you will get the advantage in your game. But first, a bit of information about the game. 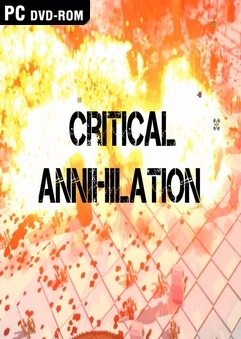 Critical Annihilation is a Twin-Stick SHMUP (Shoot-em Up) made entirely out of tiny voxels. We take advantage of voxel technology to hype up the explosive gameplay. Everything is destructible to its core. As your home planet gets invaded by aliens you decide to take up arms with the rest of the planet and annihilate every single alien in site. As you progress in the game you’ll bring yourself to whole new planets like the Moon and Mars until you’ve reached the aliens Mothership.